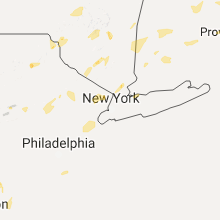 The Rhinebeck, NY area has had 3 reports of on-the-ground hail by trained spotters, and has been under severe weather warnings 24 times during the past 12 months. 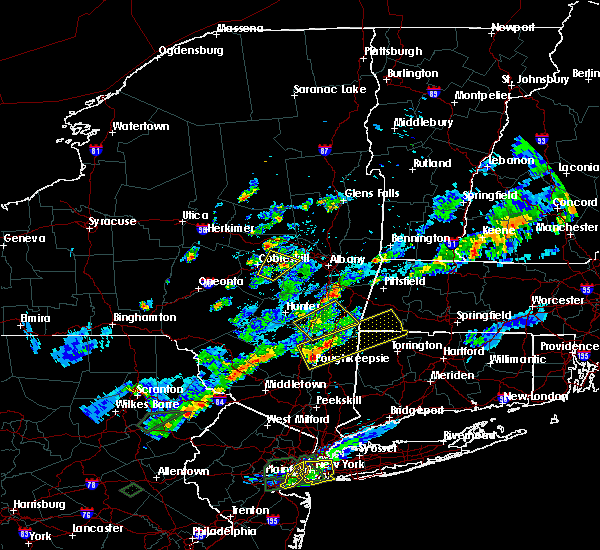 Doppler radar has detected hail at or near Rhinebeck, NY on 18 occasions, including 2 occasions during the past year. 9/6/2018 2:46 PM EDT At 246 pm edt, a severe thunderstorm was located over pine plains, or 11 miles east of rhinebeck, moving east at 30 mph (radar indicated). Hazards include 70 mph wind gusts and penny size hail. Expect considerable tree damage. damage is likely to mobile homes, roofs, and outbuildings. this severe storm will be near, pine plains and ancram around 250 pm edt. millerton around 300 pm edt. Other locations impacted by this severe thunderstorm include pachin mills, ancramdale, kerleys corners, churchtown, linden acres, linlithgo mills, nevis, fraleighs, shekomeko and silvernails. 9/6/2018 2:18 PM EDT At 218 pm edt, a severe thunderstorm was located over clermont, or 7 miles east of saugerties, moving east at 25 mph (radar indicated). Hazards include 60 mph wind gusts and penny size hail. Expect damage to roofs, siding, and trees. 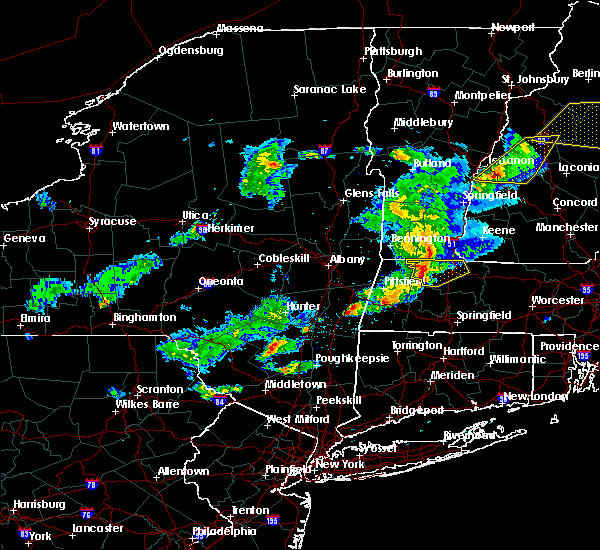 this severe thunderstorm will be near, pine plains and ancram around 240 pm edt. copake around 250 pm edt. millerton around 300 pm edt. Other locations impacted by this severe thunderstorm include pachin mills, ancramdale, kerleys corners, burden dock, burden, churchtown, linden acres, linlithgo mills, nevis and fraleighs. 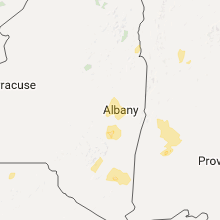 8/18/2018 1:37 PM EDT The national weather service in albany has issued a * severe thunderstorm warning for. east central ulster county in east central new york. northern dutchess county in east central new york. southwestern columbia county in east central new york. Until 230 pm edt. 8/17/2018 7:36 PM EDT At 736 pm edt, a severe thunderstorm was located near olivebridge, or 14 miles north of ellenville, moving east at 25 mph (radar indicated). Hazards include 60 mph wind gusts and quarter size hail. Hail damage to vehicles is expected. expect wind damage to roofs, siding, and trees. this severe storm will be near, olivebridge around 745 pm edt. high falls around 800 pm edt. hurley and tillson around 805 pm edt. 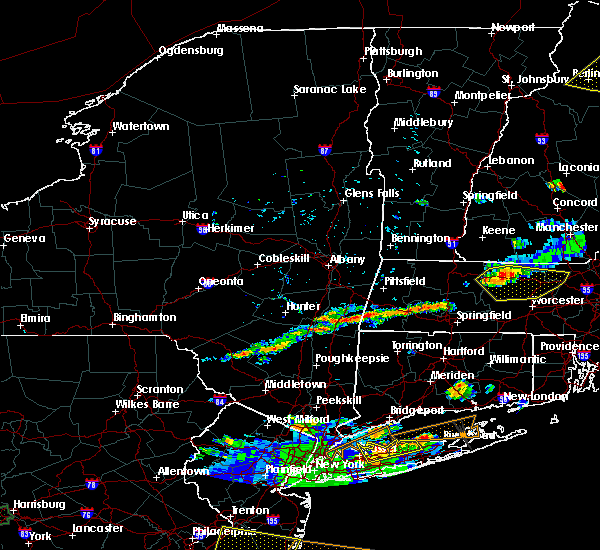 kingston and port ewen around 815 pm edt. rhinebeck around 820 pm edt. hyde park and staatsburg around 825 pm edt. Other locations impacted by this severe thunderstorm include rolling meadows, norrie heights, rosendale, maple hill, palentown, atwood, pacama, brodhead, liebhardt and hillside. 8/17/2018 7:30 PM EDT At 730 pm edt, a severe thunderstorm was located near west shokan, or 13 miles north of ellenville, moving east at 25 mph (radar indicated). Hazards include 60 mph wind gusts and quarter size hail. Hail damage to vehicles is expected. expect wind damage to roofs, siding, and trees. this severe thunderstorm will be near, olivebridge around 745 pm edt. high falls around 800 pm edt. hurley and tillson around 805 pm edt. kingston and port ewen around 815 pm edt. rhinebeck around 820 pm edt. Hyde park and staatsburg around 825 pm edt. 8/3/2018 4:19 PM EDT At 418 pm edt, a severe thunderstorm was located over rhinebeck, moving north at 40 mph (radar indicated). Hazards include 60 mph wind gusts. Expect damage to roofs, siding, and trees. this severe storm will be near, red hook around 430 pm edt. 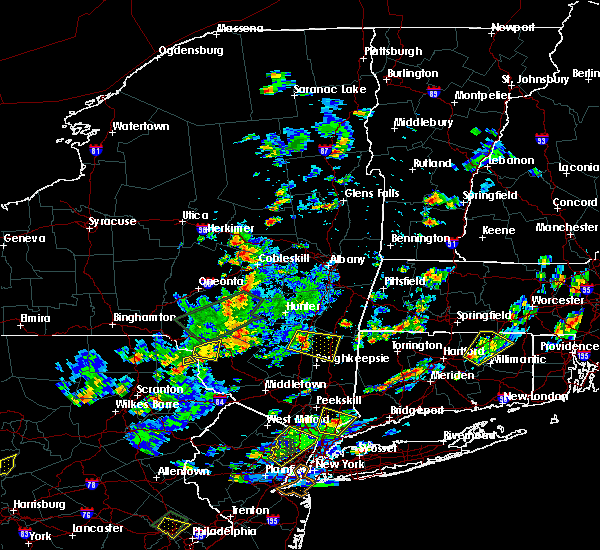 saugerties and saugerties south around 435 pm edt. Other locations impacted by this severe thunderstorm include rolling meadows, salt point, norrie heights, kerleys corners, maple hill, glenford, atwood, manorville, lithgow and katsbaan. 8/3/2018 3:54 PM EDT At 354 pm edt, a severe thunderstorm was located over red oaks mill, or near poughkeepsie, moving north at 35 mph (radar indicated). Hazards include 70 mph wind gusts and quarter size hail. Hail damage to vehicles is expected. expect considerable tree damage. wind damage is also likely to mobile homes, roofs, and outbuildings. this severe storm will be near, poughkeepsie, highland and fairview around 405 pm edt. hyde park and pleasant valley around 410 pm edt. staatsburg around 420 pm edt. 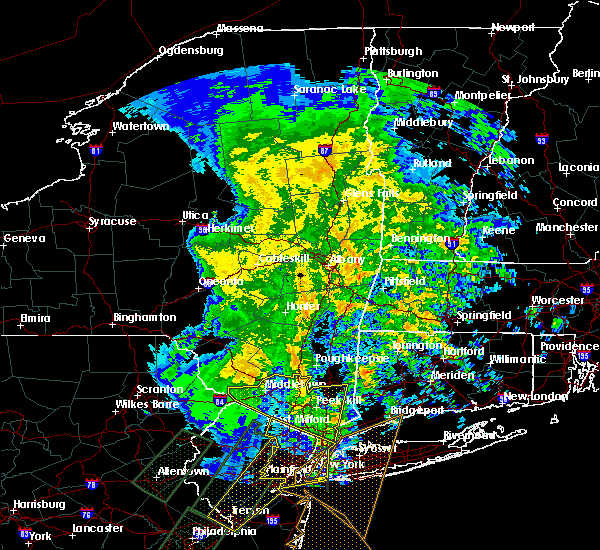 kingston, rhinebeck and port ewen around 430 pm edt. red hook and lake katrine around 440 pm edt. saugerties south around 445 pm edt. saugerties around 450 pm edt. Other locations impacted by this severe thunderstorm include norrie heights, maple hill, atwood, lithgow, katsbaan, shultis corners, pacama, hoxie corner, linden acres and elting corners. 8/3/2018 3:36 PM EDT At 336 pm edt, a severe thunderstorm was located near fahnestock state park, or near beacon, moving north at 35 mph (radar indicated). Hazards include 60 mph wind gusts and quarter size hail. Hail damage to vehicles is expected. expect wind damage to roofs, siding, and trees. 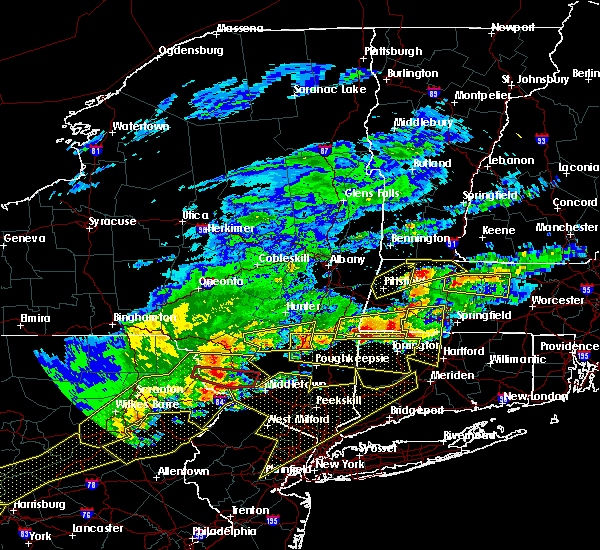 this severe thunderstorm will be near, fishkill around 345 pm edt. wappingers falls, hopewell junction and marlboro around 350 pm edt. myers corner around 355 pm edt. red oaks mill around 400 pm edt. poughkeepsie and fairview around 405 pm edt. pleasant valley and highland around 410 pm edt. hyde park around 415 pm edt. staatsburg and stanfordville around 425 pm edt. Other locations impacted by this severe thunderstorm include norrie heights, maple hill, atwood, lithgow, katsbaan, shultis corners, pacama, hoxie corner, linden acres and elting corners. 7/27/2018 6:27 PM EDT At 548 pm edt, a severe thunderstorm was located near pine plains, or 14 miles east of rhinebeck, moving northeast at 45 mph (radar indicated). Hazards include 60 mph wind gusts and quarter size hail. Hail damage to vehicles is expected. expect wind damage to roofs, siding, and trees. this severe storm will be near, sharon and millerton around 555 pm edt. falls village around 605 pm edt. canaan and ashley falls around 610 pm edt. sheffield around 615 pm edt. norfolk around 620 pm edt. sandisfield around 625 pm edt. Other locations impacted by this severe thunderstorm include salt point, sodom, pachin mills, ancramdale, norrie heights, south canaan, hartsville, konkapot, lithgow and wangum village. 7/27/2018 6:27 PM EDT The severe thunderstorm warning for northwestern litchfield, southwestern berkshire, northern dutchess and south central columbia counties will expire at 630 pm edt, the storm which prompted the warning has weakened below severe limits, and no longer poses an immediate threat to life or property. therefore, the warning will be allowed to expire. 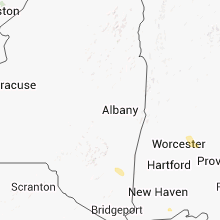 a severe thunderstorm watch remains in effect until 1000 pm edt for northern connecticut, western massachusetts, and east central new york. 7/27/2018 5:50 PM EDT At 548 pm edt, a severe thunderstorm was located near pine plains, or 14 miles east of rhinebeck, moving northeast at 45 mph (radar indicated). Hazards include 60 mph wind gusts and quarter size hail. Hail damage to vehicles is expected. expect wind damage to roofs, siding, and trees. this severe storm will be near, sharon and millerton around 555 pm edt. falls village around 605 pm edt. canaan and ashley falls around 610 pm edt. sheffield around 615 pm edt. norfolk around 620 pm edt. sandisfield around 625 pm edt. Other locations impacted by this severe thunderstorm include salt point, sodom, pachin mills, ancramdale, norrie heights, south canaan, hartsville, konkapot, lithgow and wangum village. 7/27/2018 5:23 PM EDT At 523 pm edt, a severe thunderstorm was located over hyde park, or 7 miles north of poughkeepsie, moving northeast at 40 mph (radar indicated). Hazards include 60 mph wind gusts and quarter size hail. Hail damage to vehicles is expected. expect wind damage to roofs, siding, and trees. this severe thunderstorm will be near, millbrook and stanfordville around 540 pm edt. 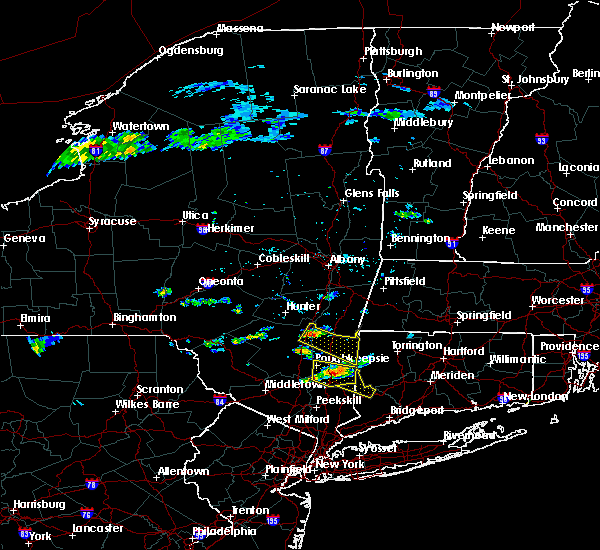 amenia and pine plains around 550 pm edt. sharon and millerton around 555 pm edt. falls village around 605 pm edt. sheffield, canaan and ashley falls around 615 pm edt. norfolk around 620 pm edt. sandisfield around 630 pm edt. Other locations impacted by this severe thunderstorm include salt point, ancramdale, norrie heights, south canaan, maple hill, lithgow, hillside, salisbury, smithfield and alander. 7/17/2018 1:25 PM EDT At 125 pm edt, severe thunderstorms were located along a line extending from near livingston to near pine plains to near pleasant valley to newburgh, moving east at 40 mph (radar indicated). Hazards include 60 mph wind gusts. Expect damage to roofs, siding, and trees. 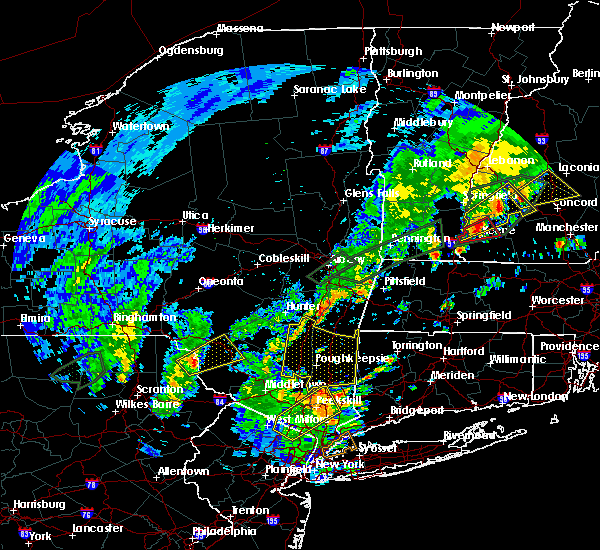 severe thunderstorms will be near, pine plains and stanfordville around 130 pm edt. ancram and millbrook around 135 pm edt. copake, millerton and hopewell junction around 140 pm edt. 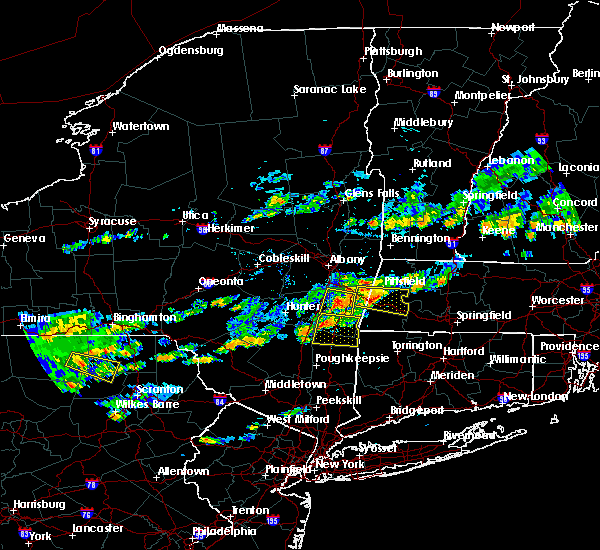 amenia and dover plains around 145 pm edt. pawling around 155 pm edt. Other locations impacted by these severe thunderstorms include tuckers corner, salt point, ancramdale, norrie heights, kerleys corners, baker corner, beekman, lithgow, hoxie corner and linden acres. 6/28/2018 3:22 PM EDT At 322 pm edt, a severe thunderstorm was located near hyde park, or 8 miles north of poughkeepsie, moving east at 20 mph (radar indicated). Hazards include 60 mph wind gusts and quarter size hail. Hail damage to vehicles is expected. expect wind damage to roofs, siding, and trees. this severe storm will be near, pleasant valley, millbrook and stanfordville around 330 pm edt. Other locations impacted by this severe thunderstorm include rolling meadows, salt point, norrie heights, rosendale, maple hill, hillside, elting corners, haviland, billings and shunpike. 6/28/2018 2:56 PM EDT At 255 pm edt, a severe thunderstorm was located over tillson, or near new paltz, moving east at 25 mph (radar indicated). Hazards include 60 mph wind gusts and quarter size hail. Hail damage to vehicles is expected. expect wind damage to roofs, siding, and trees. this severe thunderstorm will be near, hyde park, highland and staatsburg around 305 pm edt. fairview around 310 pm edt. poughkeepsie around 315 pm edt. pleasant valley around 320 pm edt. millbrook and stanfordville around 330 pm edt. Other locations impacted by this severe thunderstorm include rolling meadows, salt point, norrie heights, rosendale, maple hill, atwood, pacama, fantinekill, hillside and stone ridge. 5/15/2018 3:34 PM EDT At 334 pm edt, a severe thunderstorm was located over tillson, or near kingston, moving east at 50 mph (radar indicated). Hazards include two inch hail and 60 mph wind gusts. People and animals outdoors will be injured. expect hail damage to roofs, siding, windows, and vehicles. expect wind damage to roofs, siding, and trees. this severe thunderstorm will be near, rhinebeck, hyde park and staatsburg around 340 pm edt. pleasant valley around 345 pm edt. millbrook and stanfordville around 355 pm edt. 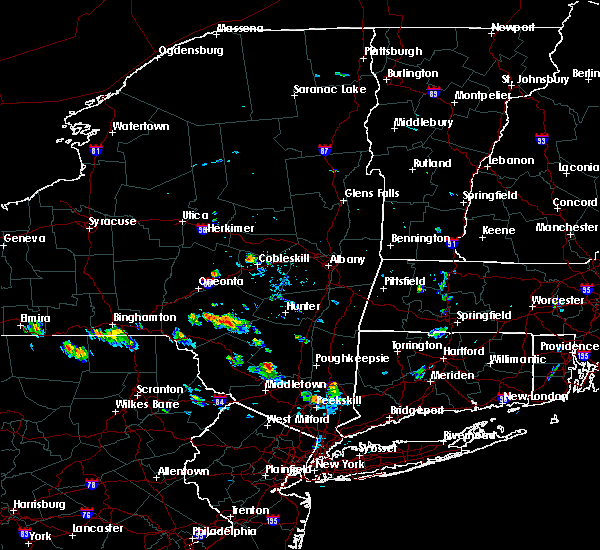 dover plains around 400 pm edt. amenia and millerton around 405 pm edt. sharon around 410 pm edt. cornwall bridge and falls village around 415 pm edt. torrington, new hartford, winsted and northwest harwinton around 430 pm edt. other locations impacted by this severe thunderstorm include norrie heights, south canaan, maple hill, atwood, lithgow, hoxie corner, elting corners, wrightville, salisbury and south amenia. 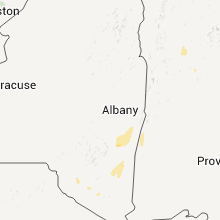 A tornado watch remains in effect until 800 pm edt for northern connecticut, and east central new york. 5/4/2018 9:17 PM EDT At 916 pm edt, severe thunderstorms were located along a line extending from near philmont to near livingston to hurley, moving east at 50 mph (radar indicated). Hazards include 60 mph wind gusts. Expect damage to roofs, siding, and trees. these severe storms will be near, claverack, livingston, philmont and claverack-red mills around 920 pm edt. 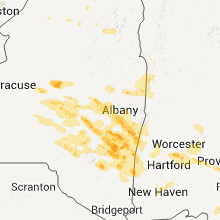 copake and ancram around 930 pm edt. Other locations impacted by these severe thunderstorms include norrie heights, maple hill, atwood, lithgow, katsbaan, shultis corners, pacama, brodhead, burden and linden acres. 5/4/2018 8:34 PM EDT At 833 pm edt, severe thunderstorms were located along a line extending from near windham to near fleischmanns to 6 miles northwest of willowemoc, moving east at 55 mph (radar indicated). Hazards include 60 mph wind gusts. Expect damage to roofs, siding, and trees. severe thunderstorms will be near, windham around 840 pm edt. phoenicia around 845 pm edt. hunter and lanesville around 850 pm edt. woodland valley campground around 855 pm edt. hudson, catskill, woodstock, coxsackie, athens, lorenz park, west shokan and north-south lake campground around 900 pm edt. 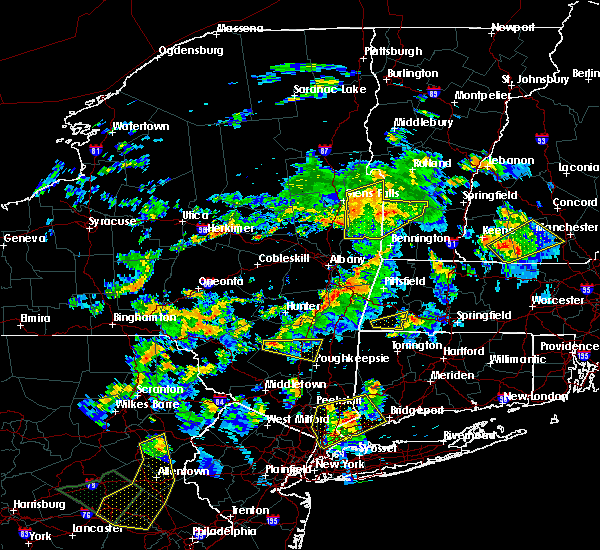 saugerties, claverack, olivebridge, claverack-red mills and lake katrine around 905 pm edt. red hook, philmont, saugerties south and high falls around 910 pm edt. hurley, livingston, clermont and tillson around 915 pm edt. Other locations impacted by these severe thunderstorms include norrie heights, maple hill, atwood, lithgow, katsbaan, shultis corners, pacama, brodhead, burden and linden acres. 8/22/2017 8:16 PM EDT At 815 pm edt, a severe thunderstorm was located over red hook, or near saugerties, moving east at 35 mph (radar indicated). Hazards include 60 mph wind gusts and penny size hail. Expect damage to trees, and power lines. this severe thunderstorm will be near, clermont around 825 pm edt. livingston around 830 pm edt. pine plains around 835 pm edt. ancram around 840 pm edt. Copake around 850 pm edt. 8/2/2017 2:31 PM EDT At 231 pm edt, a severe thunderstorm was located near rhinebeck, moving east at 15 mph (radar indicated). Hazards include 60 mph wind gusts and quarter size hail. Minor damage to vehicles is possible. expect wind damage to trees, and power lines. this severe storm will be near, stanfordville around 255 pm edt. pine plains around 300 pm edt. Other locations impacted by this severe thunderstorm include salt point, norrie heights, dutchess county fairgrounds, linden acres, dewitt mills, fraleighs, pleasant plains, washington hollow, red hook mills and eighmyville. 8/2/2017 1:56 PM EDT At 155 pm edt, a severe thunderstorm was located over kingston, moving east at 15 mph (radar indicated). Hazards include 60 mph wind gusts and quarter size hail. Minor damage to vehicles is possible. expect wind damage to trees, and power lines. this severe thunderstorm will be near, lake katrine around 200 pm edt. kingston and port ewen around 210 pm edt. rhinebeck around 220 pm edt. red hook and staatsburg around 225 pm edt. 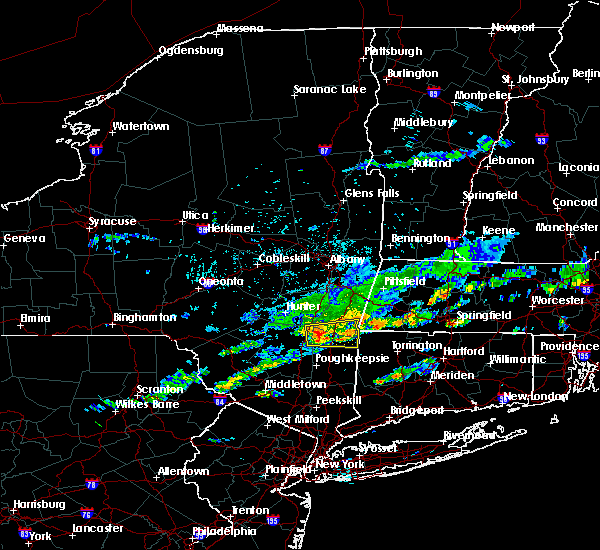 pine plains and stanfordville around 300 pm edt. Other locations impacted by this severe thunderstorm include rolling meadows, salt point, norrie heights, rosendale, maple hill, atwood, sweet meadows, linden acres, hillside and marbletown. 6/19/2017 3:33 PM EDT At 333 pm edt, a severe thunderstorm was located over highland, or over poughkeepsie, moving northeast at 30 mph (radar indicated). Hazards include 60 mph wind gusts and quarter size hail. Minor damage to vehicles is possible. expect wind damage to trees, and power lines. this severe storm will be near, fairview and red oaks mill around 340 pm edt. hyde park around 345 pm edt. pleasant valley and staatsburg around 350 pm edt. millbrook and stanfordville around 405 pm edt. Other locations impacted by this severe thunderstorm include tuckers corner, rolling meadows, salt point, norrie heights, kerleys corners, maple hill, lithgow, hoxie corner, linden acres and hillside. 6/19/2017 3:19 PM EDT At 318 pm edt, a severe thunderstorm was located over modena, or near walden, moving northeast at 30 mph (radar indicated). Hazards include 60 mph wind gusts and quarter size hail. Minor damage to vehicles is possible. expect wind damage to trees, and power lines. this severe thunderstorm will be near, new paltz and marlboro around 330 pm edt. poughkeepsie, highland and fairview around 340 pm edt. hyde park and red oaks mill around 345 pm edt. pleasant valley and staatsburg around 350 pm edt. millbrook around 405 pm edt. stanfordville around 410 pm edt. dover plains around 415 pm edt. Other locations impacted by this severe thunderstorm include tuckers corner, rolling meadows, salt point, norrie heights, kerleys corners, maple hill, lithgow, hoxie corner, linden acres and hillside. 6/19/2017 1:55 PM EDT The severe thunderstorm warning for northwestern dutchess county will expire at 200 pm edt, the severe thunderstorm which prompted the warning has weakened and moved out of the warned area. therefore, the warning will be allowed to expire. a severe thunderstorm watch remains in effect until 800 pm edt for east central new york. 6/19/2017 1:37 PM EDT At 136 pm edt, a severe thunderstorm was located over tillson, or near kingston, moving east at 30 mph (radar indicated). Hazards include 60 mph wind gusts and quarter size hail. Minor damage to vehicles is possible. expect wind damage to trees, and power lines. this severe storm will be near, hyde park around 145 pm edt. rhinebeck and staatsburg around 150 pm edt. Other locations impacted by this severe thunderstorm include ellerslie, cokertown, salt point, norrie heights, dutchess county fairgrounds, wurtemburg, market, rhinecliff, netherwood and dewitt mills. 6/19/2017 1:02 PM EDT At 102 pm edt, a severe thunderstorm was located over napanoch, or near ellenville, moving east at 30 mph (radar indicated). Hazards include 60 mph wind gusts and quarter size hail. Minor damage to vehicles is possible. expect wind damage to trees, and power lines. this severe thunderstorm will be near, kerhonkson around 105 pm edt. 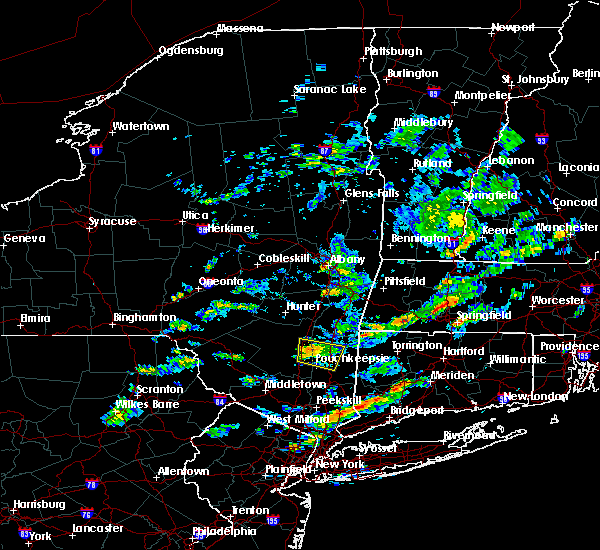 new paltz and high falls around 130 pm edt. tillson around 135 pm edt. hurley around 140 pm edt. kingston, hyde park and port ewen around 145 pm edt. rhinebeck and staatsburg around 150 pm edt. Other locations impacted by this severe thunderstorm include cherrytown, rolling meadows, salt point, norrie heights, rosendale, maple hill, palentown, atwood, pacama and liebhardt. 6/13/2017 3:15 PM EDT At 314 pm edt, a severe thunderstorm was located over lake katrine, or near saugerties, moving southeast at 25 mph (radar indicated). Hazards include 60 mph wind gusts and quarter size hail. Minor damage to vehicles is possible. expect wind damage to trees, and power lines. this severe thunderstorm will be near, red hook around 320 pm edt. rhinebeck around 325 pm edt. pine plains around 345 pm edt. stanfordville around 350 pm edt. millbrook around 355 pm edt. millerton around 400 pm edt. amenia around 405 pm edt. dover plains around 410 pm edt. Other locations impacted by this severe thunderstorm include kerleys corners, lithgow, katsbaan, linden acres, smithfield, south amenia, shunpike, fraleighs, shekomeko and bains corner. 6/13/2017 2:08 PM EDT At 207 pm edt, a severe thunderstorm was located near staatsburg, or near rhinebeck, moving east at 20 mph (radar indicated). Hazards include 60 mph wind gusts and quarter size hail. Minor damage to vehicles is possible. expect wind damage to trees, and power lines. this severe thunderstorm will be near, pleasant valley around 220 pm edt. stanfordville around 230 pm edt. millbrook around 240 pm edt. amenia around 255 pm edt. dover plains around 300 pm edt. Other locations impacted by this severe thunderstorm include ellerslie, salt point, norrie heights, oniontown, dutchess county fairgrounds, lithgow, hoxie corner, dewitt mills, millbrook heights and smithfield. 5/31/2017 6:44 PM EDT At 643 pm edt, severe thunderstorms were located along a line extending from near philmont to ancram to near rhinebeck to wallkill, moving east at 40 mph (radar indicated). Hazards include 60 mph wind gusts and quarter size hail. Hail damage to vehicles is expected. expect wind damage to roofs, siding, and trees. 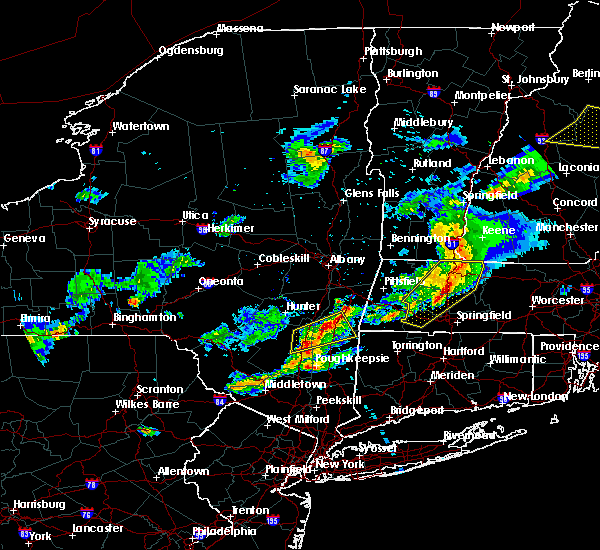 severe thunderstorms will be near, copake, pine plains and ancram around 650 pm edt. 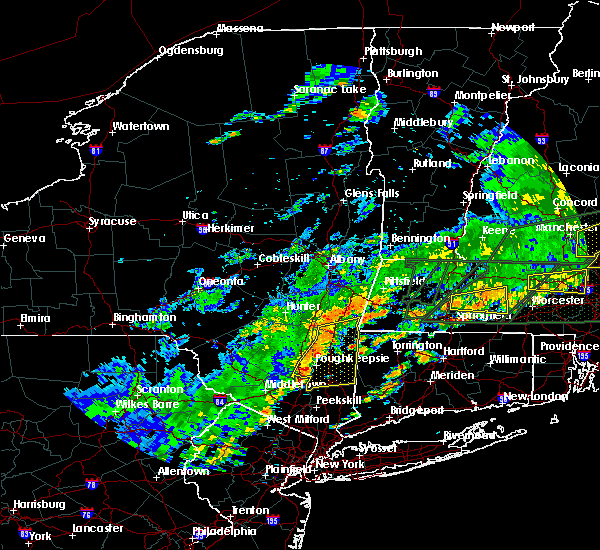 great barrington, millerton, stanfordville and housatonic around 655 pm edt. sheffield and millbrook around 700 pm edt. amenia, fishkill and myers corner around 705 pm edt. 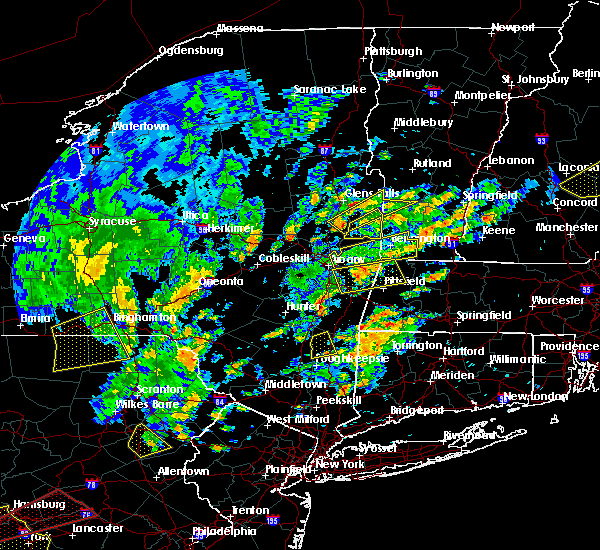 canaan, falls village, hopewell junction, ashley falls and dover plains around 710 pm edt. kent, sharon and sandisfield around 715 pm edt. norfolk, otis, tolland and cornwall bridge around 720 pm edt. pawling around 725 pm edt. Other locations impacted by these severe thunderstorms include norrie heights, south canaan, lithgow, hoxie corner, elting corners, wrightville, salisbury, south amenia, harlemville and pleasant ridge. 5/31/2017 6:31 PM EDT At 631 pm edt, a severe thunderstorm was located over lake katrine, or near kingston, moving northeast at 35 mph (radar indicated). Hazards include 60 mph wind gusts and quarter size hail. Hail damage to vehicles is expected. expect wind damage to roofs, siding, and trees. this severe storm will be near, rhinebeck around 640 pm edt. 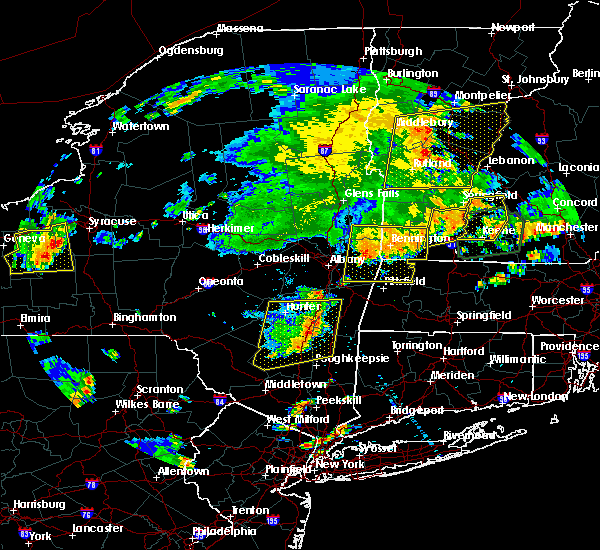 saugerties, red hook and saugerties south around 645 pm edt. clermont around 655 pm edt. 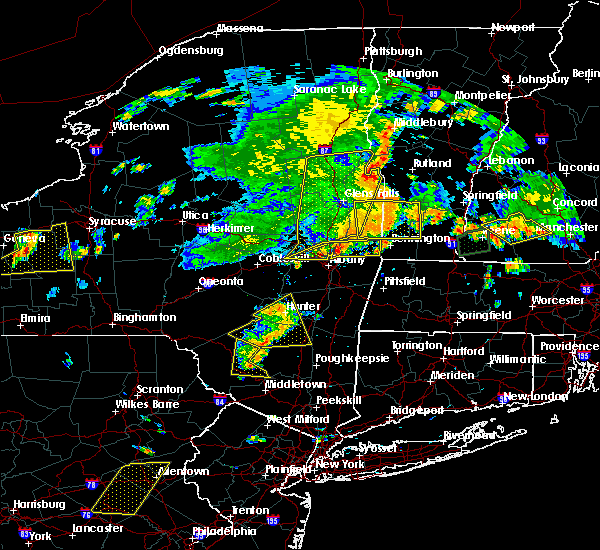 livingston, pine plains and ancram around 700 pm edt. Other locations impacted by this severe thunderstorm include rolling meadows, ancramdale, kerleys corners, maple hill, glenford, shultis corners, sweet meadows, burden, linden acres and hillside. 5/31/2017 6:03 PM EDT At 603 pm edt, a severe thunderstorm was located near olivebridge, or 12 miles north of ellenville, moving northeast at 35 mph (radar indicated). Hazards include 60 mph wind gusts and quarter size hail. Hail damage to vehicles is expected. expect wind damage to roofs, siding, and trees. this severe thunderstorm will be near, olivebridge and high falls around 615 pm edt. tillson and kenneth l wilson campground around 620 pm edt. hurley and west hurley around 625 pm edt. woodstock around 630 pm edt. kingston, lake katrine and port ewen around 635 pm edt. rhinebeck around 640 pm edt. 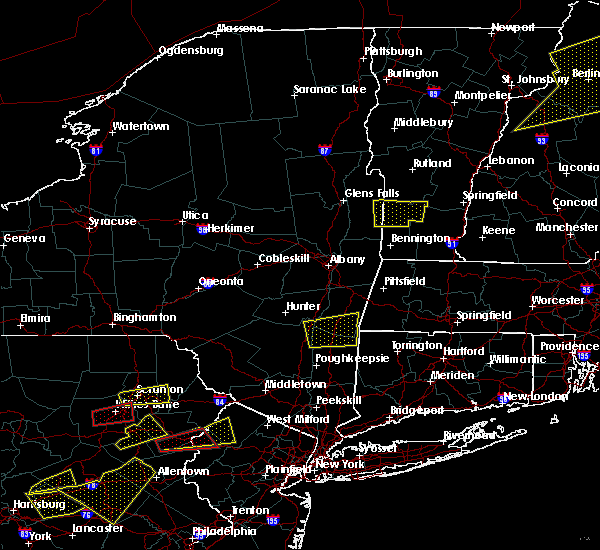 saugerties, red hook and saugerties south around 645 pm edt. clermont around 655 pm edt. Other locations impacted by this severe thunderstorm include cherrytown, rolling meadows, ancramdale, kerleys corners, maple hill, glenford, atwood, katsbaan, shultis corners and sweet meadows. 2/25/2017 6:08 PM EST At 608 pm est, a severe thunderstorm was located over nassau, moving northeast at 55 mph (radar indicated). Hazards include 60 mph wind gusts. Expect damage to roofs, siding, and trees. this severe thunderstorm will be near, stephentown and averill park around 620 pm est. hancock around 625 pm est. new ashford around 630 pm est. north adams, adams and williamstown around 640 pm est. Other locations impacted by this severe thunderstorm include brookview, norrie heights, van hoesen station, katsbaan, north hancock, cheshire harbor, burden, linden acres, salisbury and otter hook. 8/13/2016 8:16 PM EDT At 816 pm edt, severe thunderstorms were located along a line extending from catskill to tillson, moving east at 50 mph (radar indicated). Hazards include 60 mph wind gusts and quarter size hail. Hail damage to vehicles is expected. expect wind damage to roofs, siding, and trees. these severe storms will be near, hudson, catskill, livingston, athens and lorenz park around 820 pm edt. 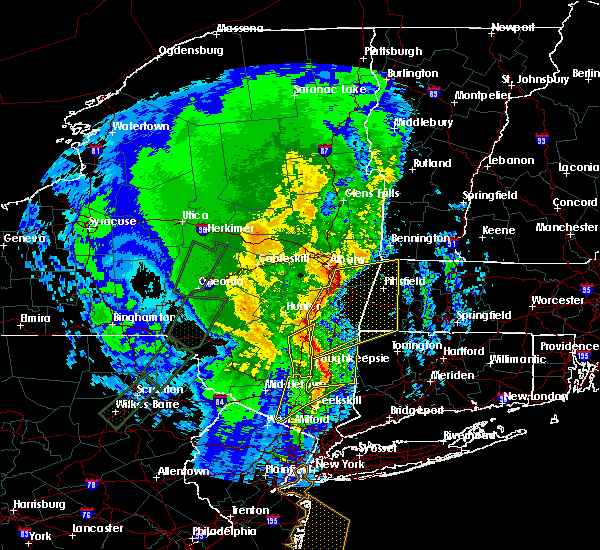 claverack and claverack-red mills around 825 pm edt. red hook around 830 pm edt. Other locations impacted by these severe thunderstorms include pataukunk, cheviot, lakes mills bridge, halihan hill, elizaville, blue mountain, hillside, fitchs wharf, netherwood and rosendale. 8/13/2016 7:48 PM EDT At 748 pm edt, severe thunderstorms were located along a line extending from near lanesville to near woodridge, moving east at 25 mph (radar indicated). Hazards include 60 mph wind gusts and quarter size hail. Hail damage to vehicles is expected. expect wind damage to roofs, siding, and trees. severe thunderstorms will be near, woodstock, lanesville, west hurley and kenneth l wilson campground around 755 pm edt. north- south lake campground around 805 pm edt. 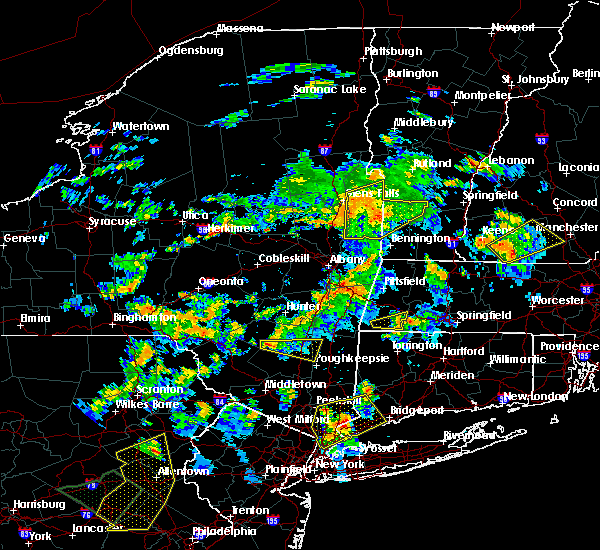 saugerties and kerhonkson around 815 pm edt. saugerties south around 820 pm edt. clermont around 830 pm edt. catskill around 835 pm edt. hudson, livingston and athens around 840 pm edt. 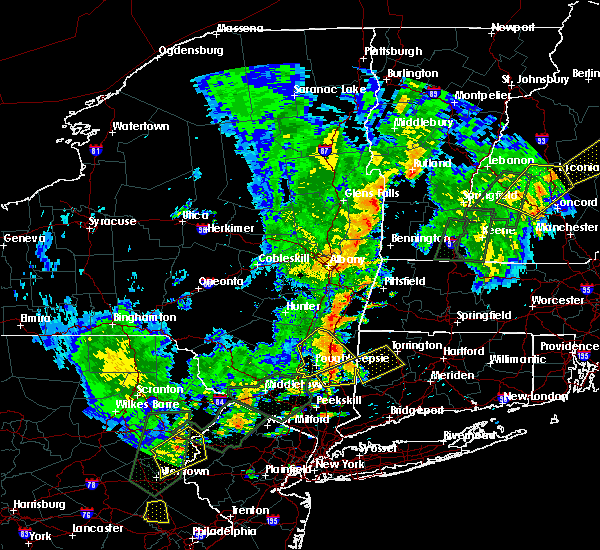 new paltz, hyde park, claverack, high falls, claverack-red mills, tillson and lorenz park around 845 pm edt. Other locations impacted by these severe thunderstorms include maplecrest, pataukunk, edgewood, libertyville, ohioville, chevio t, lakes mills bridge, elizaville, shandaken and hillside. 2/24/2016 11:22 PM EST At 1121 pm est, severe thunderstorms were located along a line extending from near saugerties to near fahnestock state park, moving northeast at 70 mph (radar indicated). Hazards include 60 mph wind gusts. Expect damage to roofs. siding and trees. 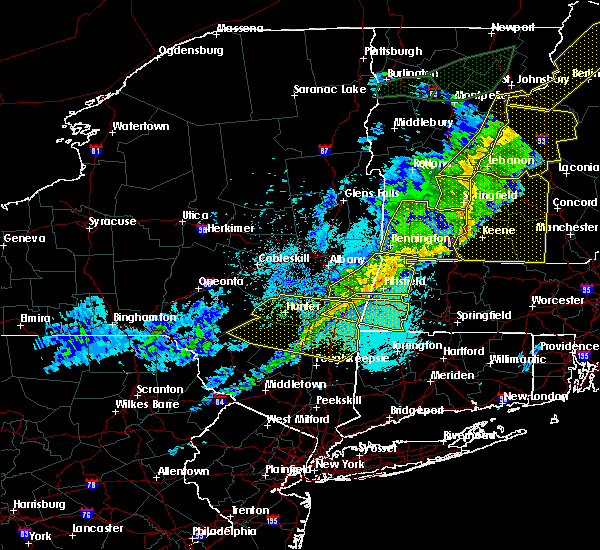 severe thunderstorms will be near, saugerties, woodstock, saugerties south and lake katrine around 1125 pm est. clermont, hopewell junction and myers corner around 1130 pm est. 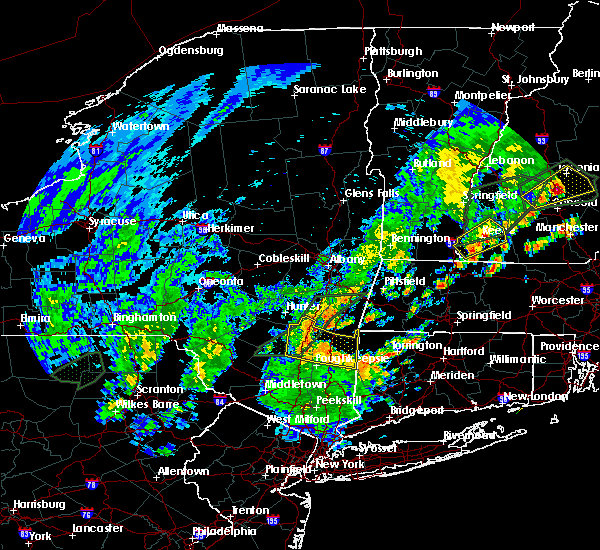 hudson, catskill, pawling and livingston around 1135 pm est. claverack, athens, philmont, wingdale, claverack-red mills and lorenz park around 1140 pm est. new milford, sherman, kent, gaylordsville and dover plains around 1145 pm est. new preston around 1150 pm est. cornwall bridge around 1155 pm est. litchfield around 1200 am est. Other locations impacted by these severe thunderstorms include ohioville, arthursburg, the cedars, sharon valley, birch groves, macdonnell heights, east cornwall, mount ross, east kingston and kelly corner. 7/26/2015 2:47 PM EDT At 247 pm edt, a severe thunderstorm was located over ellenville, moving northeast at 55 mph (trained weather spotters). Hazards include 60 mph wind gusts and quarter size hail. Hail damage to vehicles is expected. expect wind damage to roofs, siding and trees. this severe thunderstorm will be near, kerhonkson around 250 pm edt. modena around 255 pm edt. 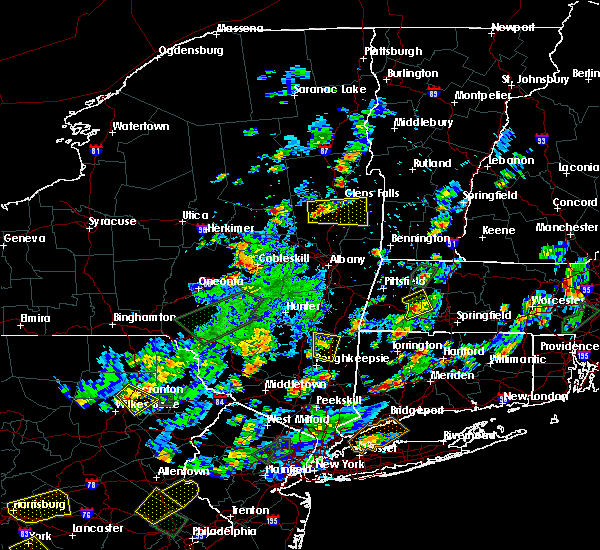 new paltz and high falls around 300 pm edt. highland and tillson around 305 pm edt. hyde park and fairview around 310 pm edt. kingston, rhinebeck, staatsburg and port ewen around 315 pm edt. red hook around 320 pm edt. Other locations impacted by this severe thunderstorm include pataukunk, libertyville, ohioville, ulsterville, colonial heights, jenkinstown, highland landing, awosting, hillside and macdonnell heights. 6/23/2015 7:35 PM EDT At 734 pm edt, a severe thunderstorm was located over dover plains, or 13 miles north of pawling, moving east at 55 mph (radar indicated). Hazards include 60 mph wind gusts. Expect damage to roofs. siding and trees. This severe thunderstorm will remain over mainly rural areas of east central ulster and central dutchess counties, including the following locations, pleasant plains, ohioville, colonial heights, haviland, mabbettsville, clove, highland landing, macdonnell heights, netherwood and dover furnace. 6/23/2015 7:13 PM EDT At 712 pm edt, severe thunderstorms were located along a line extending from near chester to near clermont, great barington and otis, moving east at 40 mph (radar indicated). Hazards include 60 mph wind gusts and penny size hail. Expect damage to roofs. siding and trees. severe thunderstorms will be near, blandford around 715 pm edt. pine plains around 725 pm edt. ancram around 730 pm edt. copake and millerton around 735 pm edt. sheffield, canaan, ashley falls and falls village around 750 pm edt. norfolk around 800 pm edt. sandisfield around 805 pm edt. 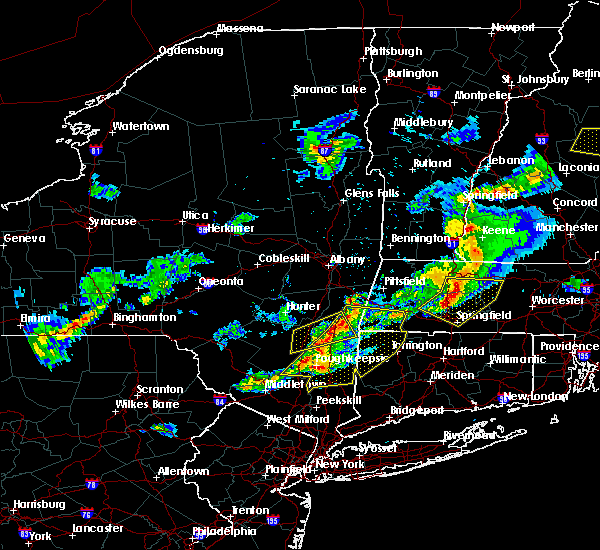 tolland and winsted around 810 pm edt. Other locations impacted by these severe thunderstorms include konkapot, the cedars, huntsville, sharon valley, bethel, copake falls, goose green, nepaug, mount ross and upper red hook. 6/23/2015 7:08 PM EDT At 708 pm edt, a severe thunderstorm was located over tillson, or near kingston, moving east at 55 mph (radar indicated). Hazards include 60 mph wind gusts and penny size hail. Expect damage to roofs. siding and trees. this severe thunderstorm will be near, rhinebeck, hyde park, highland and staatsburg around 715 pm edt. 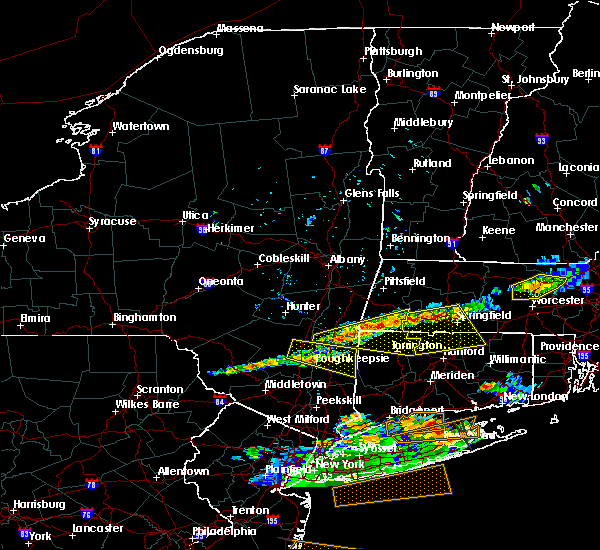 poughkeepsie and fairview around 720 pm edt. pleasant valley around 725 pm edt. millbrook and stanfordville around 730 pm edt. dover plains and wingdale around 740 pm edt. Other locations impacted by this severe thunderstorm include pleasant plains, ohioville, springtown, colonial heights, haviland, mabbettsville, clove, highland landing, hillside and macdonnell heights. 6/24/2013 4:29 PM EDT Quarter sized hail reported 0.2 miles NNW of Rhinebeck, NY, quarter-inch hail fell for 8 minutes in rhinebeck.